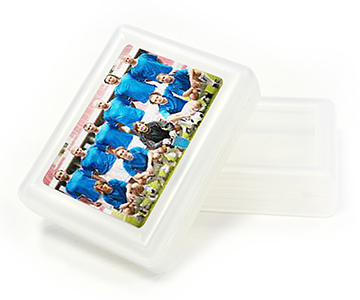 Share Your Team's Spirit with Sports Playing Cards! If you are in a sports team, you must know what sports cards are, card with stats and photo of team players such as for baseball, football, volleyball, ice hockey etc. But, have you ever thought of seeing your face pictured on a high quality, full-colored custom made sports card? Personalized sports cards would be ideal to immortalize your athletes or team in a fun, unique way! 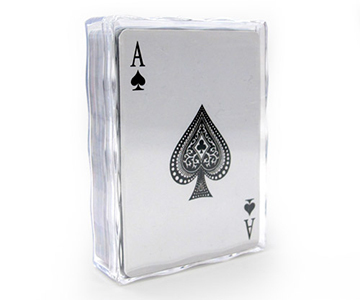 At MakePlayingCards.com, we offer personalized sports cards for every sport imaginable. 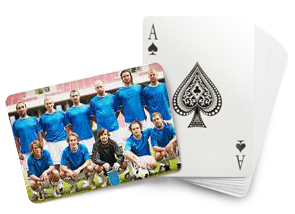 We have a variety of card types from which you can choose, and they can be customized for your sport team. 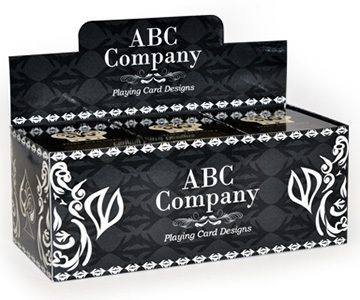 Each playing card deck comprises of 54 cards which you can choose to print on both face and back or if you prefer to work on a clean canvas, choose our custom blank cards which are cards without the playing card numbers. 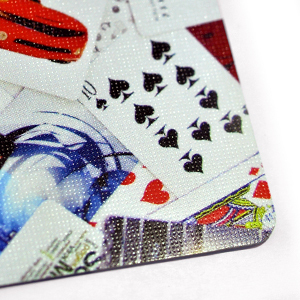 Besides, we do have 5 templates for your sport card face designs, shortening your time in creating your own one. 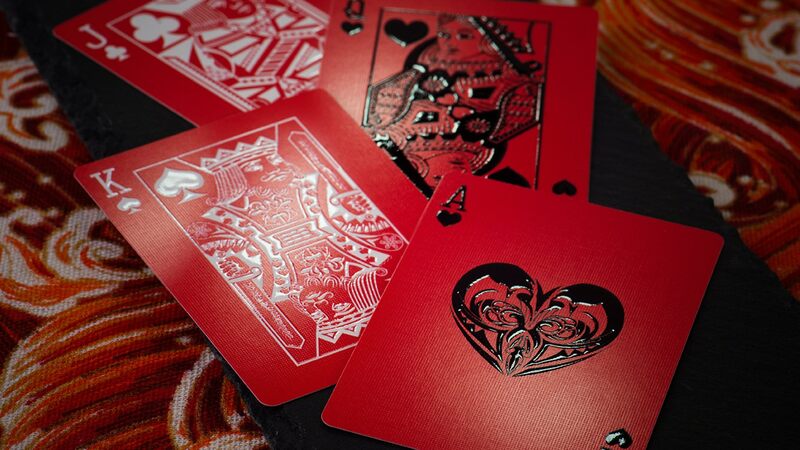 Decks go up to 234 cards for this range and come in 4 different materials (i.e. 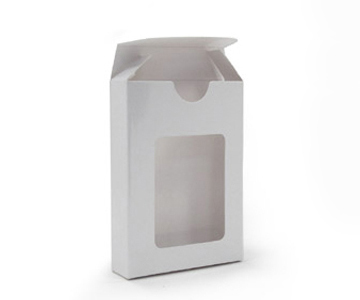 promotional (270gsm), smooth finish (300gsm), linen finish (310gsm) and plastic). Templates can include one or more custom photographs upload of your choice and have plenty of space for text. Whether you want to place a quick list of stats or a longer story/description about the player on the card, our online text tool is perfect for your needs. 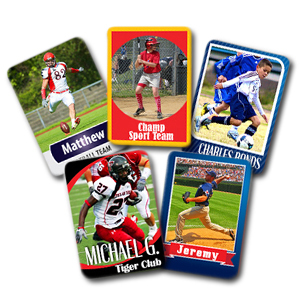 Our personalized sports cards are perfect for school-sponsored athletic teams and sport club from student to sport athletes. 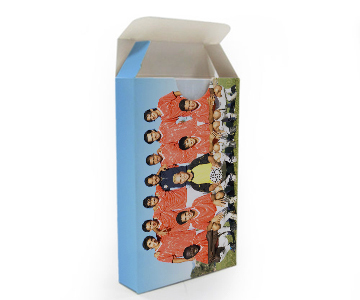 We can create matching cards for every member of the team or produce team-wide cards that show all of the players in a fun group shot. 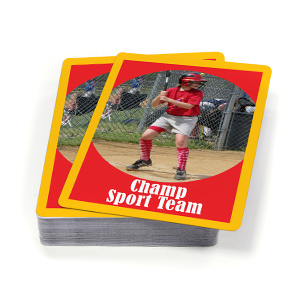 For students the sports cards can help to recognize their achievements on the field or as keepsakes. Not just for students, our personalized sports cards are also available to Sport Leagues for retail or resell through their own shops. You can order as many sports cards as you need and enjoy bulk discounts on larger orders. 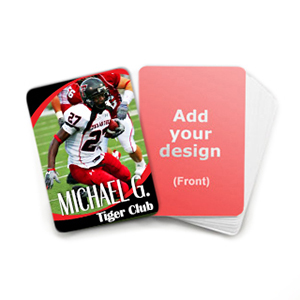 Custom sport cards also make great gifts for fans, kids and adults alike. 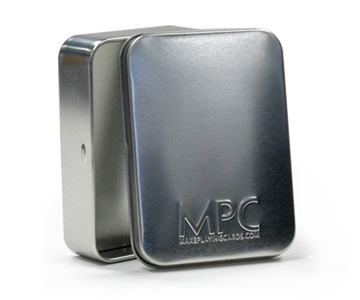 At MPC, your satisfaction with your order is our top priority. That’s why we built the online card maker to allow you to fully customize your own cards by uploading your photos, adding text using a variety of fonts and colors. We have built-in online preview function for you to view the cards before you place an order. You can check out our template options right here. If you have any questions on any aspect of creating your own sports cards, whether it’s a unique custom solution, need further help or have questions on additional production needs, please get in contact with our experienced sales representatives who will gladly help you.